Tanzania is undoubtedly one of the most unique destinations on the African continent that has yet to be discovered by many. It is a land of many wonders, with an un-paralleled diversity of fauna and flora. Kilimanjaro, the highest permanently snow-capped free standing mountain in Africa, the exotic Islands of Zanzibar, the finest game parks of Serengeti, Tarangire, Lake Manyara, Ngorongoro Crater, Ruaha, Selous and the Marine Park of Mafia Island are only but a few of the living examples. The scenery, topography and very friendly people harbor the growth of excellent cultural tourism, beach holidays, game hunting, historical and archaeological ventures – and certainly the best wildlife photographic safaris on the continent. Tanzania is known for its vastness, its remote southern national parks and also for the parks scenic beauty as well as their abundance in wildlife. To the north of the country lies Ngorongoro Conservation Area (NCA), about 828 Sq. Km, a perfect caldera of the world 18km in diameter. It borders Serengeti National Park, which arguably has the greatest concentration of wildlife in the world. Located in south-east Tanzania in a remote and little-visited part of the country, the Selous Game Reserve is Africa’s largest protected wildlife reserve and covers more than 5% of Tanzania’s total area. Other National Parks in the south include Mahale (the haven of the chimpanzees and baboons); Mikumi, Mkomazi, rubondo, Katavi and Juvenile Udzungwa, rich in plant diversity and in colobus monkeys. The country’s so called “tourist circuits” were established largely due to the size of Tanzania, which encompasses a variety of distances, travel costs and times. To cover two or three circuits on one safari is not only possible but also frequently done. Flying is the easiest way to move from one circuit to another. There are many air operators who offer a network of scheduled flights between the circuits. These same operators also offer charter flights. The Northern Safari Circuit is the most frequented by tourists for two reasons: most of the destinations are fairly close to each other and many of Tanzania’s most famous sights, such as Ngorongoro Crater, the Serengeti and Mt Kilimanjaro are all a part of this circuit. The other is the fact that all the parks, towns and attractions are within easy reach of one another, one can tour this entire circuit by vehicle with only a couple of hours in-between destinations. 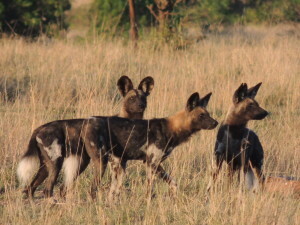 Following are a few examples of tailor made safaris we would be happy to organize for you. However, the buck does not end here. We are flexible and would love to give an opinion depending on your likes and budget. The national parks and game reserves of the Southern Safari Circuit are, arguably, the hidden treasures of Tanzania’s natural heritage. These parks are enormous, with some of the highest concentrations of animals anywhere in Africa and a spectacular diversity of wildlife including Roan Antelope, Sable Antelope, African Wild Dogs and a multitude of colourful birdlife. The lodges and camps of the south are small and intimate, with no more than 30 rooms or tents at the very most. This means there are far fewer tourists in the South compared to the North, which allows the area to hold true to the tenets of Eco-tourism. The travel times between parks in the South are long as the parks are far apart. The parks of the South can be visited independently, or as a circuit combining various parks into one package. Packages can be arranged using scheduled air services or as road safaris using 4×4 vehicles.